Over the years, Apple has dedicated itself to producing longer lasting batteries. Nevertheless, in many cases, phones are still dying faster than you would expect. Between making calls, sending texts, and streaming media, it puts a lot of strain on the battery. 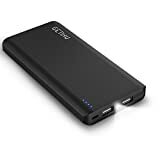 With the help of the best power bank for iPhone, you will have the ability to get a couple of extra charges for your Apple devices, even without access to a wall socket. 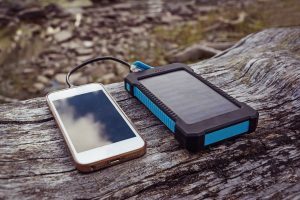 We’ve found five fantastic options to take note of if you need a backup power source while on the go. 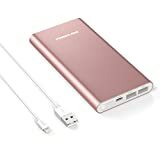 This power bank is one of the more popular ones as it’s affordable and boasts plenty of features at the same time. Made to have an ultra-high charging capacity (20100mAh), you should be able to get your phone from zero to 100% in less time. According to the manufacturer, you should be able to achieve up to seven full charges of your iPhone with a single charge of this power bank. You should also be able to charge an iPad mini up to four times. With the use of VoltageBoost and PowerIQ technologies, charging will be much faster. When charging the power bank itself, it should only take 10 hours with a two-amp charger. With one-amp and two-amp USB ports, you’ll be able to charge up to two devices at the same time. Even though you may be looking for an iPhone-specific power bank, this unit is universally compatible. This can help you to charge your devices and a friend’s as well, which makes it ideal for long trips when you’re away from electricity. The entire power bank is built using premium materials that prevent any damage or destruction if you accidentally drop it. It also helps to prevent scratches and dings from being thrown in a bag. 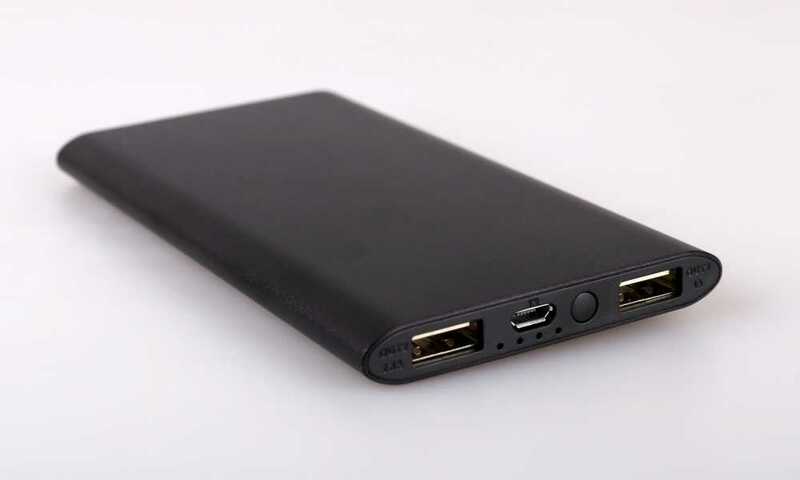 The Uni-Yeap 11000mAh Power Bank is built similarly to most other high-quality power banks on the market with features such as an LCD display and a slim yet modern casing. It’s also adaptable to devices apart from the iPhone. One of the most interesting features of this power bank is that it is equipped with a built-in LCD display. You will receive real-time updates on the overall battery life of the power bank, so you know when to recharge it. The Uni-Yeap Power Bank isn’t as powerful as the previous power bank we discussed, as it only offers 11000mAh. You’ll likely only be able to get a maximum of three full charges out of this power bank before it dies. With the help of the integrated smart charging feature, the ports will automatically detect the connected device. Once detected, the power bank will adjust its power output to customize the level of power given to each device. Instead of a regular battery, this power bank from Uni-Yeap is built with a polymer battery, which, supposedly, offers nearly the same lifetime as a lithium-ion battery but is safer. With 13000mAh of power, the GETIHU Portable Charger is a reliable unit to have on you in case of emergencies. 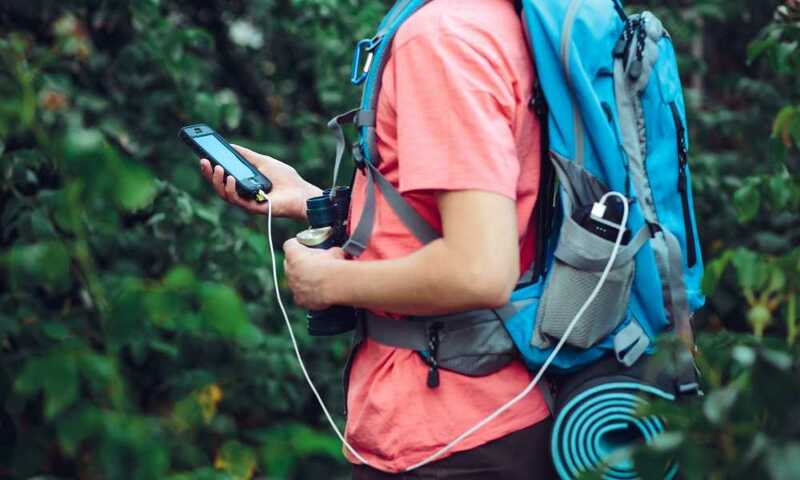 More than that, it is also equipped with two USB ports and a built-in emergency flashlight, which makes it a great option for hikers and campers. 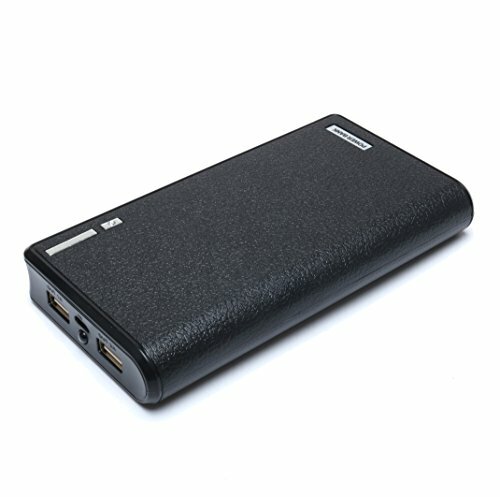 Instead of offering one two-amp charging port and a second one-amp charging port, this power bank has dual two-amp ports. 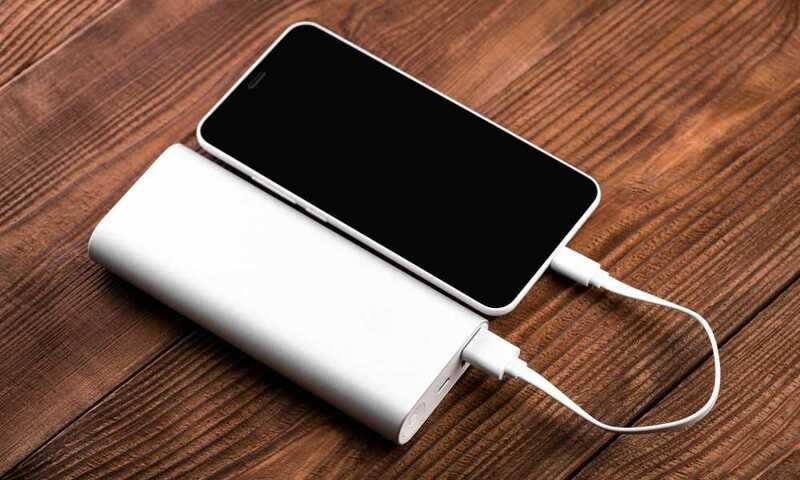 This helps you to charge two devices faster than other competing power banks. When charging the power bank, you will also have access to a two-amp charging port. This helps to make sure you have a fully charged external battery source in less time than with competing brands. At 13000mAh, you should be able to get up to four or five full charges for your iPhone, which is more than enough for the needs of everyday commuters or for emergencies. In case of emergencies, you will have an onboard LED flashlight that is easily accessible. The GETIHU Portable Charger IC protects all of your devices with its intelligent power management system. You won’t have to worry about fluctuating voltages, undercharging, or overcharging your iPhone. We found that when setting up this power bank, it takes a little more effort than with other power banks. It’s important to read the user manual to understand how it charges your devices as well as the power output that is provided. Perfect for someone who is looking for a sleek power bank to slip into a purse or laptop bag, the POWERADD Pilot 4GS Power Bank is designed for travel. With 12000mAh of charging power and all of the equipment you need for iPhone charging, it’s really a great option for the best power bank for iPhone. Apple licenses the on-board lightning connector on the power bank, so you can easily charge your devices faster and more reliably. With the use of ID Identify (intelligent charging) technology, the power bank detects what equipment is connected. It will then adjust its power settings to charge your devices to the best of its ability, up to three amps per port. 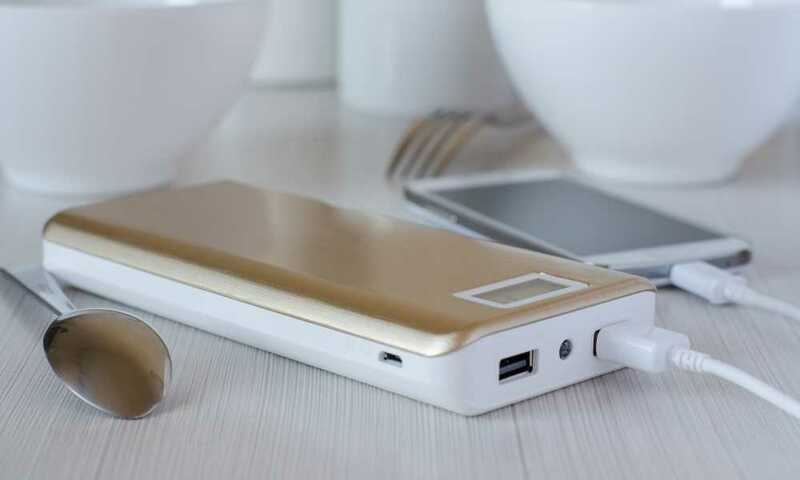 The integrated Li-polymer cells have specialized microchips that protect the multiple devices connected to the power bank. Your devices will be shielded against overcharging, over-discharging, and short-circuiting. Constructed using an aluminum alloy with an anodized finish and anti-fingerprint coating, the POWERADD Pilot 4GS Power Bank will stay clean and look brand new. One of the largest concerns that we had when working with this power bank is that it started to warm up very quickly when plugged in to charge. We didn’t experience issues when charging devices, just when the power bank was plugged in overnight to charge itself. With a style that is more quintessential to traditional power banks, the SLE-TECH Portable Charger is a handy item to have while on the go. With faster charging than most other power banks and great reliability, it’s a fantastic choice. 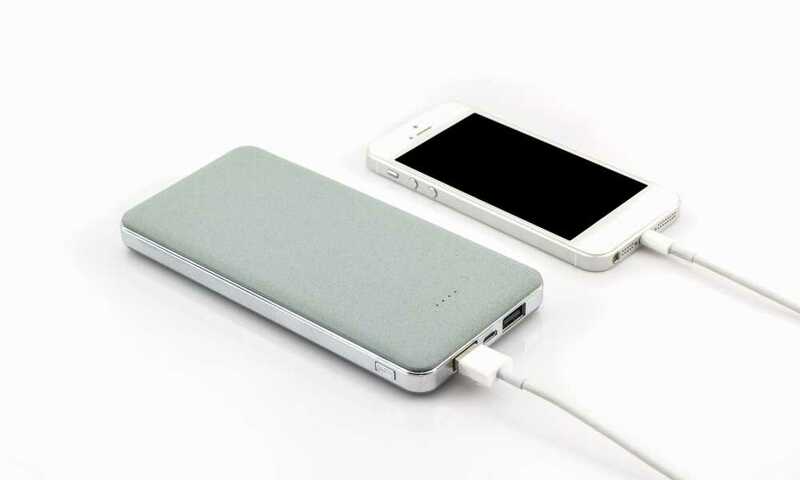 On the higher end of charging capacity, the SLE-TECH Portable Charger offers 20000mAh of power. 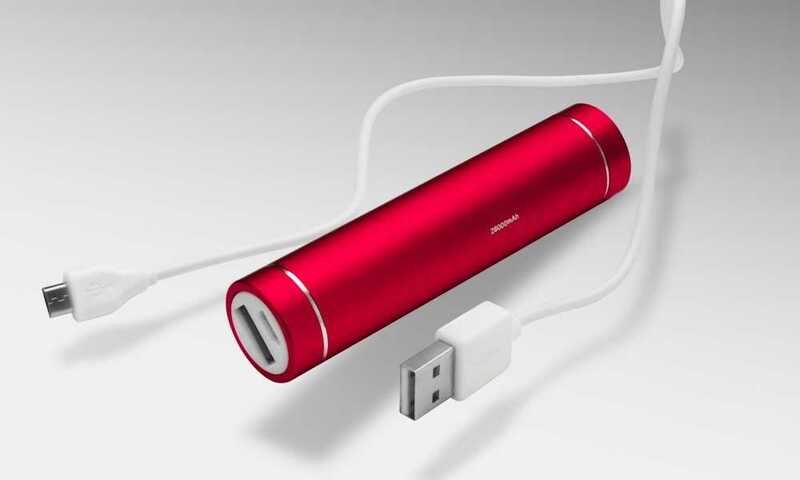 With a one-amp and a two-amp USB output, you can easily charge two devices at the same time using this power bank. In case of an emergency, there is a built-in LED flashlight nestled between the two charging ports. 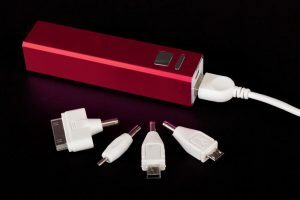 This model comes with an included mini-USB charging cable, which makes it ready to use with most devices. However, if you are an iPhone user, you will be responsible for providing your own lightning cable. Both of the ports are marked as either one-amp or two-amp, making it easy to know which side is faster for charging. As someone looking for a power bank, you’re going to want a unit that is portable, gives you enough charges, and is reliable. When comparing these five units to one another, the Anker PowerCore 20100 Power Bank is the obvious choice for the best power bank for iPhones. With 20100mAh of power and impeccable charging speeds (less than two hours), you’ll be able to get the most out of a device that is at less than 30%. We also appreciated how durably built the power bank is, though it’s heavier than most other models. The most important thing that we found was that you have to pay special attention to how you remove your charging cables. This is because the ports on the unit aren’t as reinforced as most people would like, and they can become loose quickly. However, the company has fantastic customer service and will gladly replace faulty units. 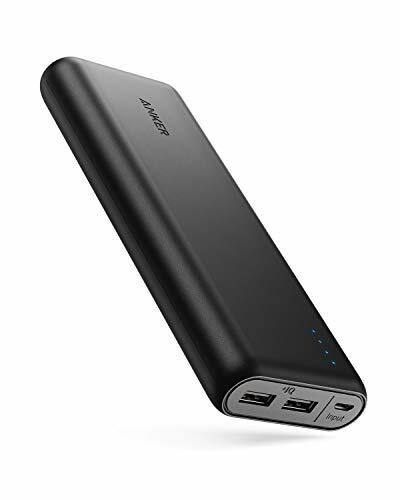 No matter if you’re traveling for work or going on vacation where you won’t have electricity, the Anker PowerCore 20100 Power Bank is a reliable choice. 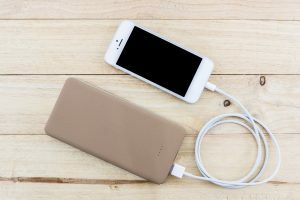 How Do You Know If Your Portable Charger Is Fully Charged? 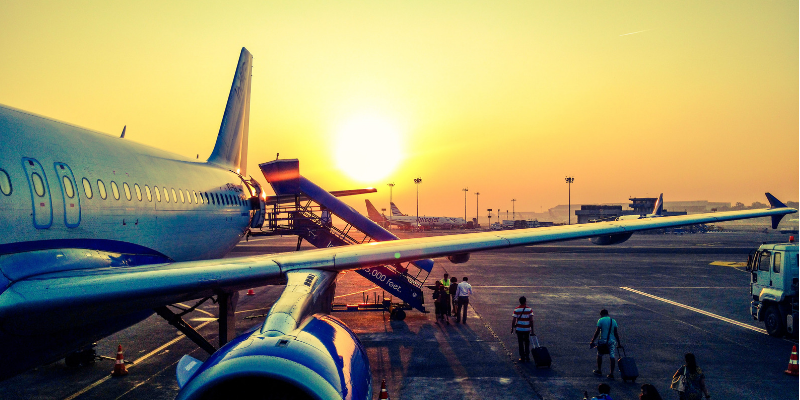 Is it Safe to Take Your Power Bank on The Plane? 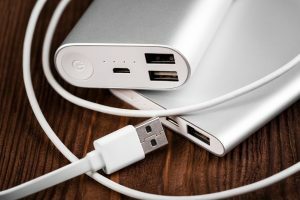 Can Power Bank Charge Overnight? Some recommended products may use affiliate links. PowerYourGadget.com is a participant in the Amazon Services LLC Associates Program, an affiliate advertising program designed to provide a means for sites to earn advertising fees by advertising and linking to Amazon.com. Amazon and the Amazon logo are trademarks of Amazon.com, Inc or its affiliates. Copyright © 2019 Power Your Gadget | All Rights Reserved.